We have special grades for Mattresses and Upholstery products. Speciality Foam for mattresses and Upholstery comes from the vast product basket of Sheela Group.These Foams conform to RoHS & REACH Standards. With the support of our experienced professionals, we have been able to engaged in offering Memory Foam that is highly acclaimed by our clients. Usage/Application: Mattress, Toppers, sofa, Chairs. 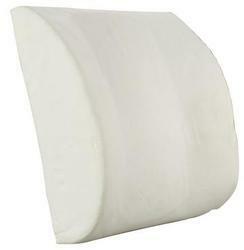 We are indulged in offering the finest quality White Memory Foam.